Previously, I were introduced to the program that can be control Keynote by LeapMotion(blog in Japanese), but was submitted to the Airspace in the App! By the swipe on the LeapMotion, you can control the Keynote. #LeapMotion Keynote slideshow using Leap Motion from Hidenori MATSUKI on Vimeo. Last year, I received a Leap Motion Controller that was pre-order! I had made the program for oneself, but I decided to publish because there was a demand on Twitter. @vassko Thank you very much for giving me this opportunity! It has been confirmed in the following two environments: It doesn't correspond to the PowerPoint and Windows. 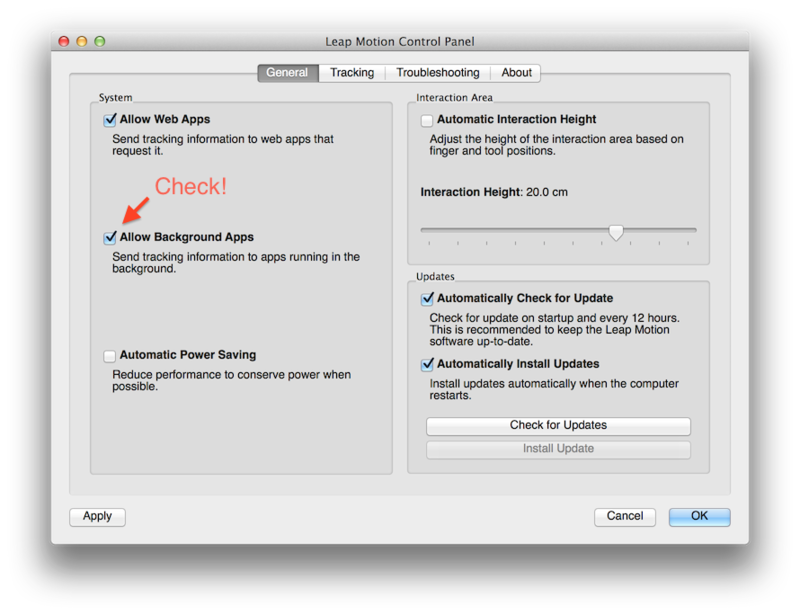 Please make sure "Allow Background Apps" is On in your "Leap Motion Control Panel". 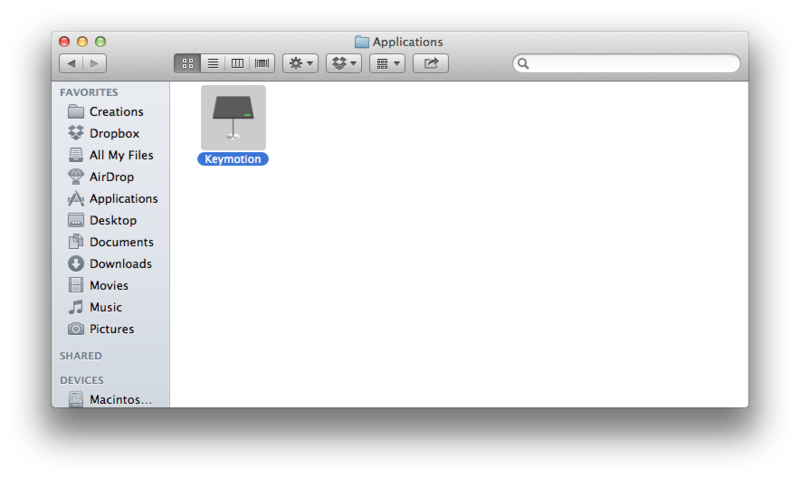 Item called "KM" in the menu bar will appear when you start the app. Click the "Quit Keymotion" in the "KM" when you end. You can control the Keynote slideshow. I want to be able to customise the combination of the operation and thresholds of gesture in the future. As long as us to cooperate in the beta test, please contact the blog comment or Twitter.